in, you are bound to have heard the familiar narrative of the like-minded groups that have taken it upon themselves to challenge and put a stop to how rampant mining in Goa has detrimentally affected Goa’s environment. But imagine a different time, an era when people were yet to fathom the possible effect of the mining activity in the state and were yet to mobilise a strong opposition who could at the very least create awareness of the damage being caused to nature and how it affects the human population as well. Half a century ago, there was a dentist, who devoted his life to battle it out with the mining firms over dumping of ore and by doing so, was one of the first to take up this fight that still ensues in today’s times. September 8, 2018, will mark the 50th death anniversary of Dr Amancio Alvares. Dr Amancio Alvares (1902-1968) hails from Udoim, Aldona, and comes from a family of for generations of doctors. In 1934, he passed his LDSc and graduated from the Nair Dental College, Mumbai. He was a Dental Surgeon by profession. A very successful dental surgeon indeed, until he decided to extract a promise of good and civilised behaviour from Goan mine owners. They were dumping ore rejects along the slopes leading to his paddy fields in Sirigao. The rains used to wash them down, clogging the fields that were once the family’s main source of sustenance and a proudly acknowledged asset. After countless and fruitless letters and verbal entreaties, he resorted to legal action, endless and costly litigations, which drained him of all his savings. In the end, died heartbroken because his vast paddy fields were ruined. “The strength and courage of Dr Amancio exhibited in overcoming his obstacles to shape a proud destiny for himself served as a strong inspirational force to his children and grandchildren, who have all excelled in the field of medicine, engineering and architecture. Dr Amancio passed away on September 8, 1968,” says his daughter, Amelia Soares e Alvares, while speaking to Café. “In memory of Dr Amancio Alvares, we will be presenting to the Museum of Dentistry, Bambolim, the Denture Polishing Machine used by him during his practice days,” adds Amelia. It is to be noted that while he is famous for his efforts in putting up the cudgels against the mining companies, he was a very reputed and recognised dentist. He made outstanding contributions to the field of dentistry. He was inducted as a Fellow of the International College of Dentists in 1966. He was a very modest person who maintained the highest standards of integrity, both in respect of dentistry and for his interactions with others. The International College of Dentists has also inscribed upon its memorial roll the name of Fellow Dr A B Alvares, Bardez. Dr Amancio’s children also made immense contributions in the world of medicine. His eldest son, late Dr Alvito Alvares, who had settled in Washington DC, graduated with a PhD in Pharmacology. His research focus was on Drug Metabolism in the Liver: 1) Factors influencing the metabolism and action of drugs, and environmental chemicals and carcinogens. 2) Interactions between nutritional factors and drug metabolism. 3) Biochemical and toxicology effects of the environmental chemicals and carcinogens; and 4) Heavy metal toxicity. 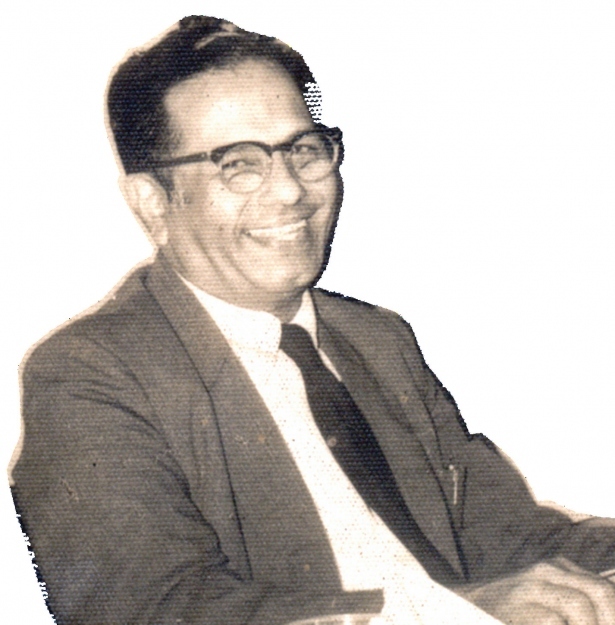 Dr Alvito Alvares’s lab work provided early evidence of the existence of more than one form of Cytochrome P-450. His paper describing this discovery became an ISI (Institute of Scientific Information). Citation Classic. He was listed in the ‘Who is Who in Science and Engineering’ and ‘Who is Who in American Education’. Dr Amancio’s second son, Dr Olav Alvares, followed in the footsteps of his father. He retired as a distinguished dental educator and researcher. He received 16 awards, the most prized ones being the Olav Alvares’ Plaque to be awarded in perpetuity recognition from the American Dental Education Association and the No.2) award is the Distinguished Service Award from the International Association of Dental Research. Dr Amancio’s youngest son, late Dr Roando Alvares, was a brilliant cardiologist settled in Lisbon, Portugal. He died of a massive heart attack at the age of 51.